Paleo Cinnamon rolls aren’t the easiest thing going … if you’ve ever tried to make them. They’re dense. Hard to roll. Easy to fall apart. I still make them though, because they TASTE great… and that’s what matters, right? Not how things LOOK? But then I saw this recipe for a regular version of cinnamon roll cake. I though… hmmm… I bet I could make that Paleo? It was way easier than paleo cinnamon rolls and family loved it. I think you would even SKIP the glaze sauce… and obviously this is a special treat, because it’s pretty sugar loaded. BUT, considering what a regular cinnamon roll would be – this is a much better option. 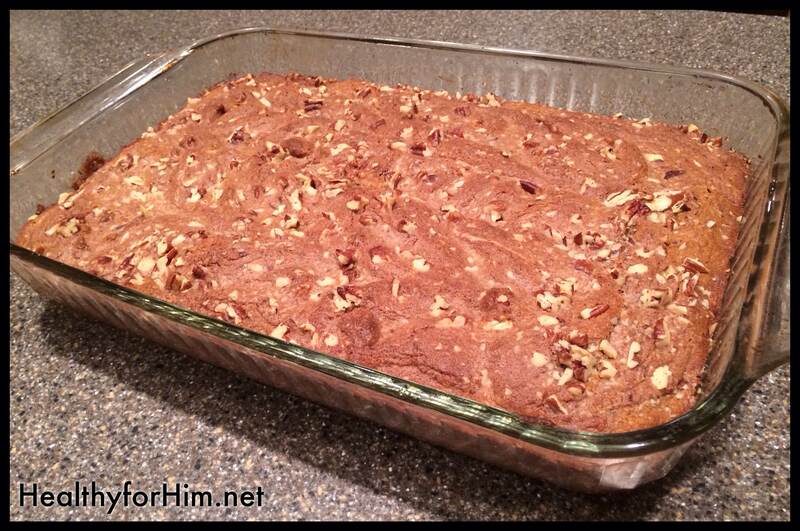 Top with 1/4 cup diced pecans after you swirl cake and topping. Mix everything for the cake. Pour into 9×13 baking dish. Drop topping evenly over batter and swirl with knife. Bake at 350 for 30 minutes. When cooled, (if desired) top with glaze before serving. 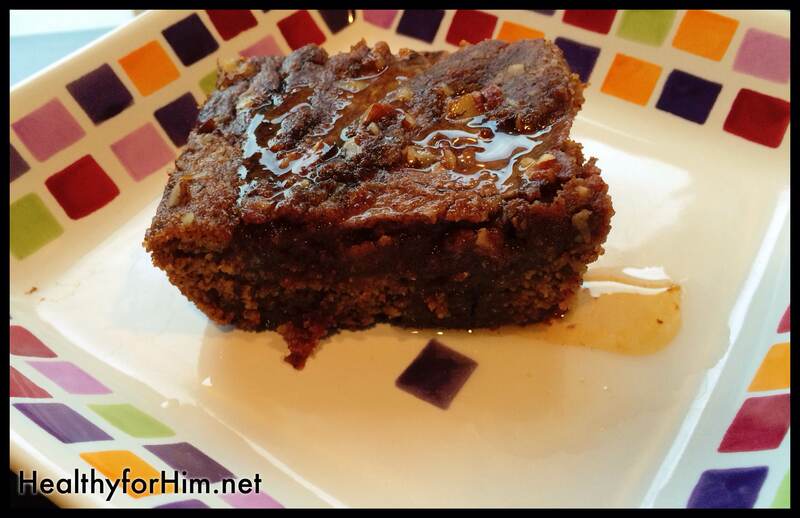 Posted on October 29, 2013, in Auto Immune Disease, Celiac/Gluten Sensitivity, Food To Try and tagged celiac, Dairy Free, gluten free, gluten intolerance, grain-free, healthy for him, MS, Paleo Cinnamon Roll Cake, paleo cinnamon rolls, Paleo for large familes. Bookmark the permalink. Leave a comment.